We have a cookbook title!!! It’s called The Cookie Book!! I love love love the final title. What do you think? As soon as the cover is finalized, I’ll share it here as well. I seriously can’t wait!! I knew once I turned the manuscript in there would still be work to be done. But here we are, months later, and it’s still front and center in my life. Which is fine and you don’t expect any less but as you near the end of any exhaustive project it takes more and more focus and effort to stay in it. Does that make sense? It reminds me of the one time I ran a half marathon. I think I’m using the word ‘run’ loosely here. It’s better described as a ‘slow jog’… Perhaps even better as a crawl that culminated in a dragging of oneself across the finish line. But I did it. And when you’re training for something like that, unless you’re a born runner, life presents many opportunities to quit. A head cold can throw training askew. A vacation? Forget it. But I stuck with it and finished that beast and for a period of hours in my life thought I was on the cusp of death. But I survived. That, my friends, is where I find myself this month in the process of writing a book. It has nothing to do with the people that I’ve been working with that have been nothing short of lovely. It has everything to do with stamina. My love of naps and lounging is only rivaled by my love of sweets and creativity and whiling away the day in the kitchen. All of these loves have been shelved for a very long time and it’s taking tremendous focus and fortitude to shove those loves to the side and continue at such an intense pace. So here’s where we are today: I have finally seen the layout (I LOVE IT) and frankly, seeing the photos next to the recipes is beyond exciting. Like, BEYOND. I wish I could share all of it right this second. But I can’t. I’m doing the final author proof right now and I feel like the ADD I was convinced I had in college has resurfaced. I get classic spring fever every year, since I was a kid. My family knows it. They anticipate it. It usually means I work a bit less, go out a bit more, spend more time outside and am generally way more chill. 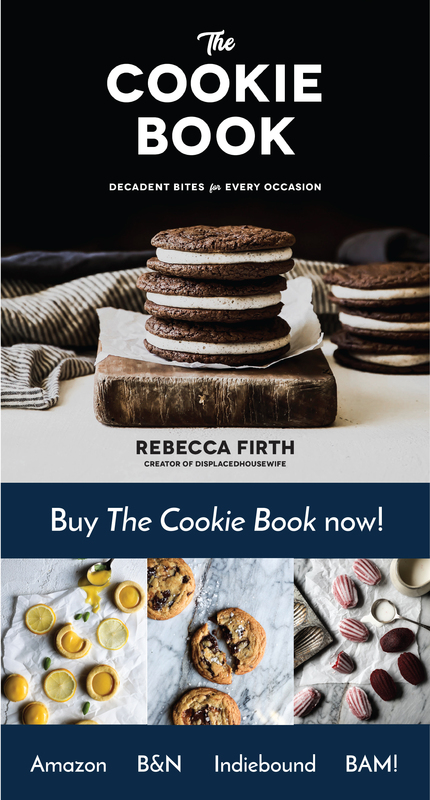 So you can imagine how deeply conflicted I am that I have 180 pages to sift through and edit every last detail (in addition to all of the fun work I get to do with brands and the recipes I like to create for DisplacedHousewife). This is a highly inopportune time to be disciplined. But, like that half marathon, I’ll drag my body across the finish line. I’ll do it and get it done the best I can cause that’s what we do, isn’t it? Each step along the way has presented a hurdle: the hard work that needs to be done in that moment. And then the reward is when you see something new, a glimmer of what all of this will look like in the end. As always, let me know in the comments below or via email if there is anything specific about the book-writing process that you’d like me to discuss. I’m happy to share it all! Ice Cream Maker. When I lived in Beijing I didn’t have an ice cream maker so I would use my immersion blender and it would yield the same results, albeit a wee more time consuming. After the gelato mixture has chilled place it in the freezer in a tall container (something that your immersion blender will have the height and space to do its magic). Every 30 minutes thereafter take the it out of the freezer and run the blender in the mixture to break up any ice crystals that are forming…it should only take a minute or two. Cover and place back in the freezer. Repeat until the gelato is thick and creamy. If you’re chilling at home on the weekend, this isn’t a big deal. If you’re really busy, this is unrealistic. And frankly, presents a wonderful opportunity (excuse?) to buy an ice cream maker. I have an inexpensive KitchenAid one that works great. Zesting Lemons. Make sure to only get the yellow part of the lemon and not the pith. I like having the zest in the final gelato. If this bugs you, strain the gelato into your ice cream maker before making to get out any bits. Basil. You want some beautiful, bright-green basil leaves for this. While making the gelato, treat them with care as you don’t want to bruise them. Olive Oil. This recipe was created for Lucini Italia. I used their 100% Italian Premium Olive Oil. 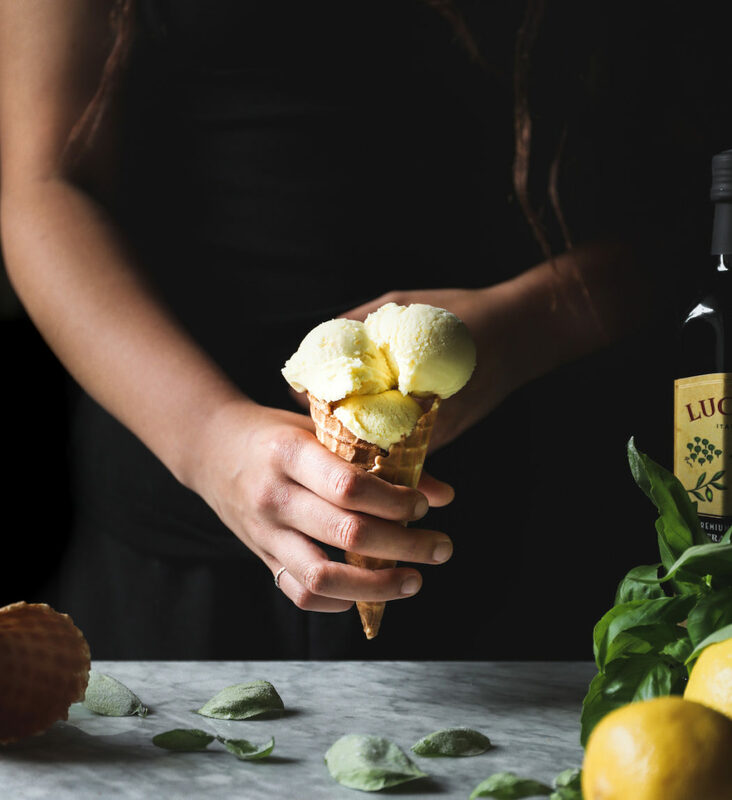 The olive oil flavor is really pronounced, so use one that has a flavor you love and would happily drink straight from the bottle. 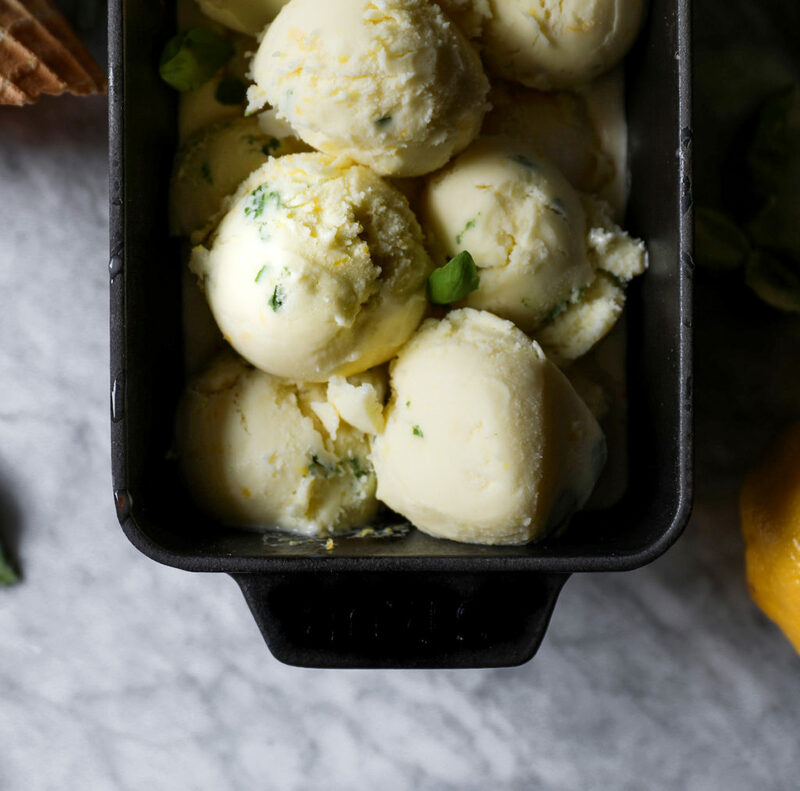 Let’s make some lemon-basil olive oil gelato, shall we? In a medium saucepan over medium-low heat, add the milk, sugar, lemon zest, basil leaves and fresh lemon juice. Gently stir until the sugar dissolves, turn off the heat and let sit for 30 minutes. Take the basil out and whisk in egg yolks, one at a time making sure the first is well blended before adding in the second. Whisk in the salt for 30 seconds more. Add the basil back in and pour the mixture into a lidded container and stash in the fridge for several hours until chilled through. Once cool, add to your ice cream maker* and proceed with manufacturers instructions. You want to stop the gelato before it gets too firm, for me this was around 25 minutes in my ice cream maker. At this point drizzle in the olive oil while the machine runs. Scoop into a clean, lidded container and freezer for several hours before serving. 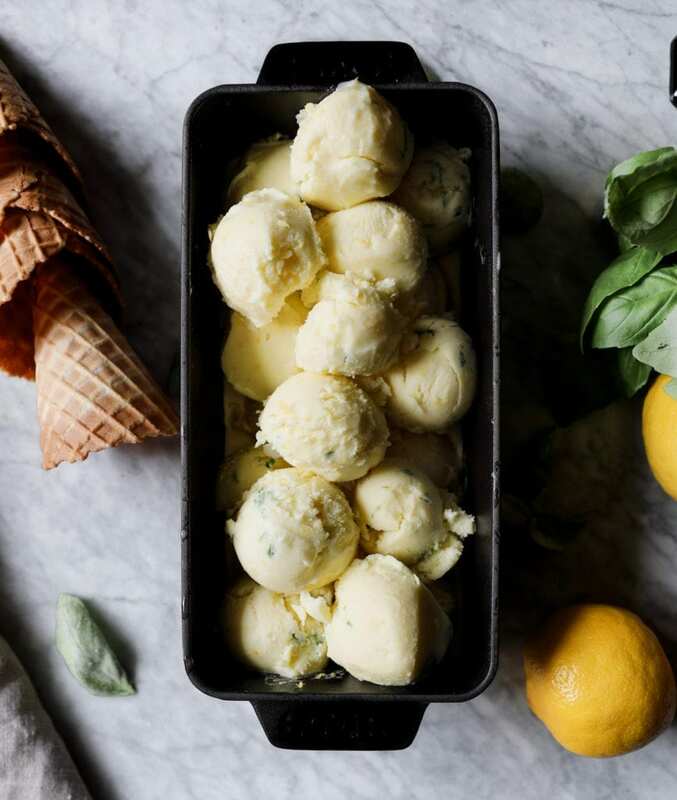 Thank you for making this olive oil gelato! Please tag me on social media @displacedhousewife #displacedhousewife so I can see your gorgeous creations! *I made it with both the basil in the final gelato and also where I would take it out before putting the mixture into the ice cream maker. I think I preferred the version without, fyi, although some of the photos have the basil in the gelato. Second, see above notes (Before We Get Started) on how to make without an ice cream maker. 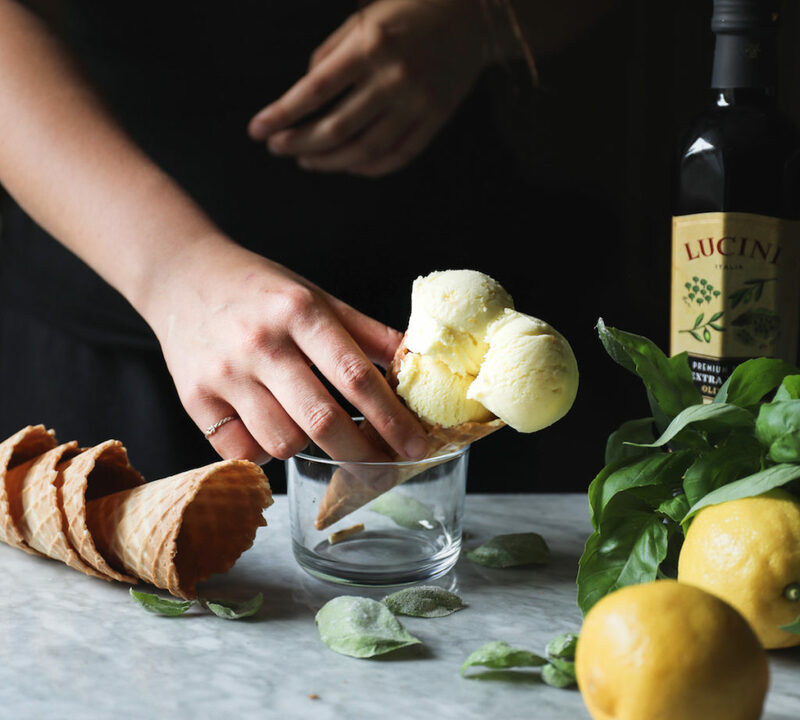 **This lemon-basil olive oil gelato recipe was created in partnership with Lucini Italia. *I made it with both the basil in the final gelato and also where I would take it out before putting the mixture into the ice cream maker. I think I preferred the version without, fyi, although some of the photos have the basil in the gelato. 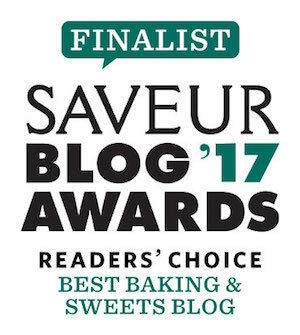 Second, see above notes (in the Before We Get Started section of the blog post) on how to make without an ice cream maker. WATCHING: You already know that I’m watching and obsessed with The Handmaid’s Tale, it seriously brings me to my knees. I’ve also started watching The Looming Tower on Hulu. Have you seen it? Fast-paced, well-written, great acting…it follows the information sharing (or lack of) between the CIA and the FBI leading up to 9/11. I’m completely gripped. I also found the documentary The Magic Pill fascinating which focuses on sugar/carbohydrates and what they do to our overall health and how they impact disease. 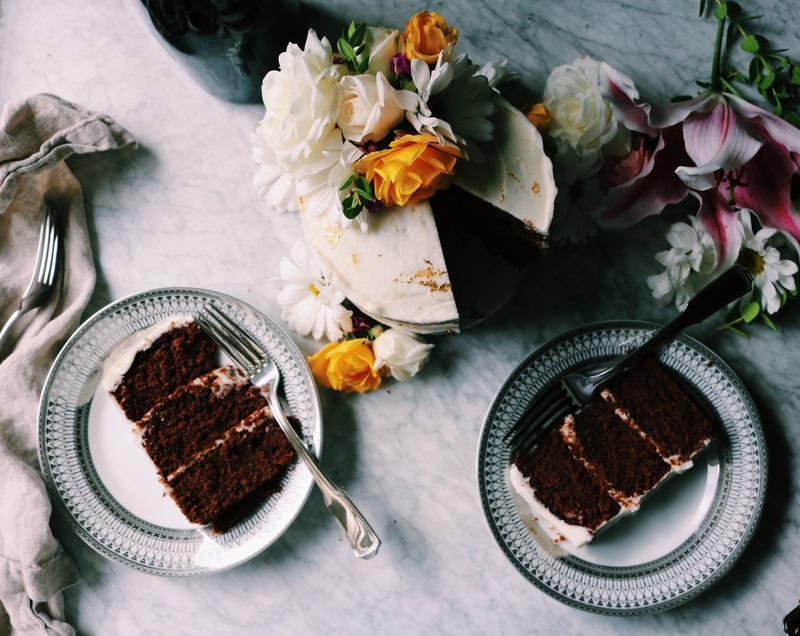 I know sugar is my passion…I love to bake with it and see how I can play with it…transform it. But I really do believe we have to balance it with eating healthy. Have you watched this? Thoughts? LISTENING: I can’t get enough of podcasts right now. I’m loving Between Meals With Beth Manos Brickey, NPR TED Radio Hour, The Daily, NPR Politics and my ultimate guilty pleasure: The goop Podcast. READING: This article on Eric Schneiderman…I found it interesting (and disheartening) that the very things that made these woman great were the things he chipped away at. Not to mention the physical abuse…. And on a much lighter note, I literally can’t with this…so funny. COOKING + BAKING: I have a ton of new cookbooks and I wish there were more hours in the day to cook and bake from all of them! Food52 sent me their newest, perfectly-timed Food52 Any Night Grilling. I was seriously dusting off my BBQ when this arrived and I can’t stop thinking about one of the first recipes I saw…it’s an appetizer of grilled (charred?) kale that’s mixed with some Greek yogurt, lemon zest and garlic (among other deliciousness) and then smeared on grilled toast. I have everything in my fridge just waiting for me to get off my arse and make it. Stay tuned. OTHER STUFF: If you’ve been following for awhile, you know that I love mediation. I heard the best description of mediation recently: Picture the ocean. On its surface you can have waves that are four feet tall or 100 feet tall, but if you go down to the very depths of the ocean there is always utter stillness, no matter what is happening on the surface. That’s how our brains work. We constantly have that chatter in our mind: what we need to do, analyzing what has happened, what we did right or wrong, what we’re going to cook for dinner, buy for a present, when we’re going to get gas for the car…but deep down in all of us is constant stillness. Meditation helps us tap into that stillness. The more we do it, the more readily you can access it. I like guided mediation. My favorite is through UCLA’s MARC which has heaps of free ones to listen to here. I’ve also started using the app Headspace, which is super easy to use. I don’t like it as much, but it’s so convenient I’ve found that I’m doing it more. I think this is it for today. Wishing you all heaps of love + light! I just watched the Magic Pill and it was so good. I usually don’t like documentaries that seem to scream at you to do one thing and only present information that’s one sided or overwhelming. I thought this was easy to watch, absorb and find ways to incorporate what they shared into our life. This gelato sounds amazing with the combination of flavors. I usually don’t care for ice cream or gelato but I might have to try this! Perfect work of art ! Thank you ! 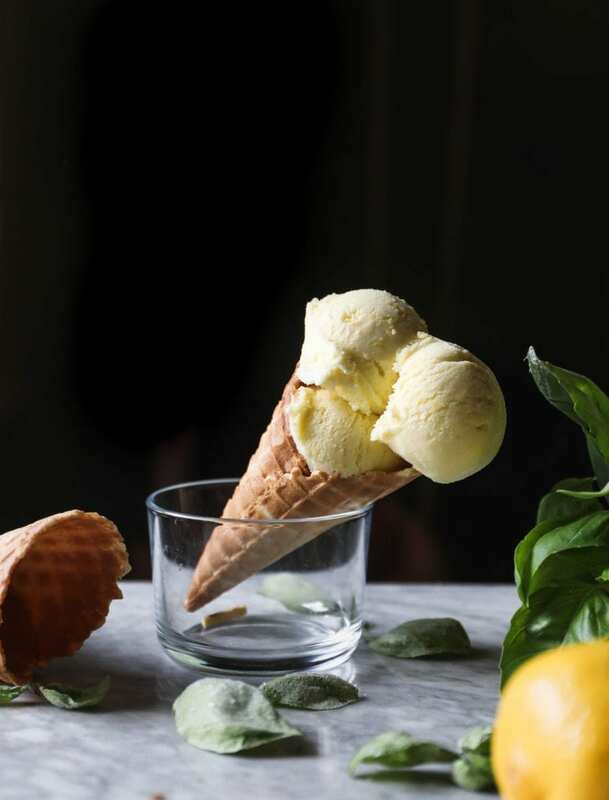 Such delicious flavors, this is the perfect summery gelato! Absolutely love the title of the book! And I love the sound of this recipe! So fresh and summery!